I’ll consider whatever is offered as reward. If you wish for me to travel outside my area, there may be an additional cost. All costs will have to be established before I agree to search. Jewelry, cell phones, keys, glasses, anything made of metal or having metal content lost in the water or on dry land. I’m retired and metal detect as a past time. You can find me almost any morning hunting the beach at Del Mar. 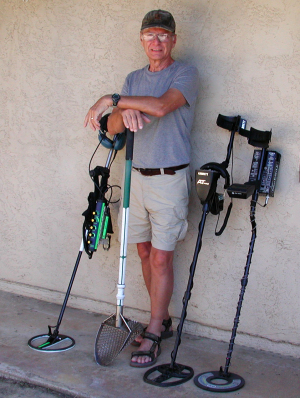 I own several state of the art metal detectors and am very successful at recovering lost articles. Recovering old coins and artifacts as a hobby can be very rewarding but nothing matches the joy I get when I’m able to reunite a precious item with its owner. Let me help you find your lost treasure..